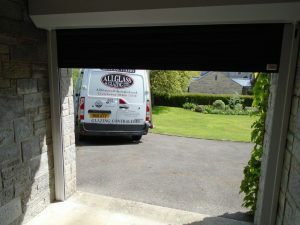 This week we returned to one of our previous customers to supply and install a remote control roller shutter garage door from the Hurst Hurricane collection. 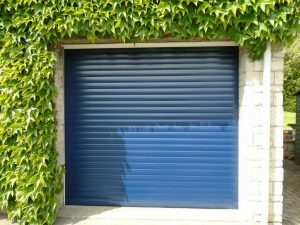 The roller shutter garage door has many benefits, not least being able to enter and leave your garage without being exposed to the elements. Being electronically operated, the door does not require the physical exertion of a manually operated up and over garage door. 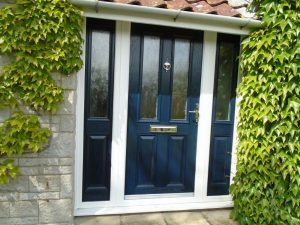 The doors are available in a range of colours, and we love this shade of blue which looks great against the green of the foliage surrounding it. 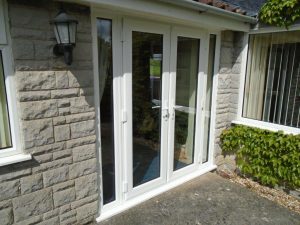 Also on this visit we installed a pair of Kommerling C70 French doors in white. 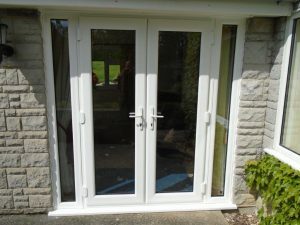 Complete with A Rated glass, these doors look fantastic as well as allowing optimum access and ventilation to the property! Our customer is really happy with our visit and says ‘Dean and Jamie are an excellent team! We are really pleased with the result.’. 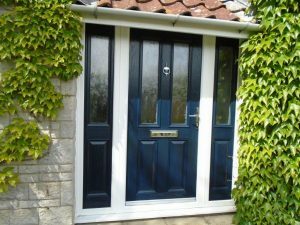 Below are two photographs of the blue composite door and side panels we installed for them previously, another installation by Jamie and Dean. We are delighted that these customers chose to use us again, and we are so happy to hear that they are pleased with this installation as well.